Presented by Chris Smith, Kate Lamble. England might be out of the World Cup this week, but thousands of fans are still cheering their teams on across Brazil. 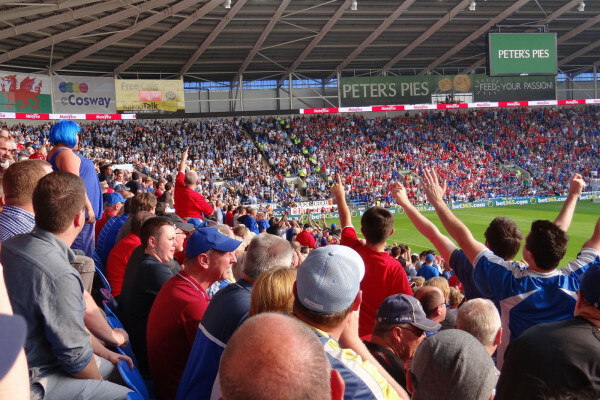 But how does chanting change the behaviour of a football crowd? Why do free kicks and penalties still come down to good old physics? And how can economists use data from the pitch to see whether discrimination still exists in the beatuiful game? Plus, in the news, why scientists have blown up a mountain in Chile, why you could get addicted to sunshine, and are electronic cigarettes safe? Gerry - It's designed to be the biggest optical and near-infrared telescope yet built. It will be maybe twice as big as its nearest computer, four times bigger than the biggest that we have today. And will allow us by the way of these things to go maybe a hundred times deeper and fainter into the universe. Chris - When we say optical telescope, what does that mean? Gerry - It means this thing is especially designed to work on the same light that we see by eye, but also on the heat that we feel on our skin. So, it doesn't study radio waves. It doesn't study the frequency that this programme is going out on. It doesn't study the far-infrared because that invisible from the ground. You have to go into space to do that, but the sort of warm end visible light is where all the normal star shine actually, that's why we look that way. Chris - When we say big and extremely large, this imaginative name for this telescope, how big actually is it? Gerry - They're pretty dull names, aren't they? The predecessor was called the very large telescope so we go ahead and ran into humongous soon I think, but is big. The mirror is just under 40 meters which is about 40% of a size of a football field. So, it's big and that's the glass, the mirror. The telescope structure itself is maybe twice that size. It's a huge big thing. Chris - When we say 40 meters is the mirror, is that one single piece of glass or is it the mirror equivalent of an insect eye - lots of little mirrors that all work together? Gerry - It's exactly the second, yes. You can't make one big mirror or even if you could, that would be kind of difficult to carry at the side of a mountain. So, it's actually made of over a thousand small mirrors each which is about a meter in size actually. They're little hexagons that'll fit together just like the panels on a football. Except there's about a thousand of these things and they're all each individually controlled so that they're acting as if they're a single large mirror. Chris - And this means that you can - I presume - focus or tweak the performance of the telescope very, very accurately because you can move each of these individual elements and therefore, overcome aberrations in the moving a little bit or gravity or the atmosphere. Gerry - Yeah, that's the reason that these things are multi-mirror. Any structure that big sags under its own weight, it gets blown around by the wind, and it shakes, there are these little earthquakes shaking things all time anywhere on Earth. And so, having a large number of mirrors, each of which is fine-tuned about a thousand times a second, allows us to correct for this real-time disturbance function and produce a telescope that works. Although it's big, bigger than anything else, it will work very much higher precision than anything we have done before as well. So, we get really, really sharp image quality. Chris - Why at the top of a mountain in Chile? Gerry - Yes, you're right. We have a little bang so that we do better at studying the Big Bang. But the reason we go to high mountains is basically to get away from the water and dust in the air. The reason that stars twinkle and everything blue is out at night is because of water in air. So, you have to high and dry. 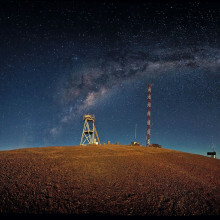 And the highest and driest place on Earth is the northern Andes in Chile. So, there are a lot of telescopes up there. It's the best site on Earth in which to actually do astronomy. Chris - And the bang was to level off the top of the mountain just to make the site good. Gerry - Yes. Mountain tops in general don't come flat and so, telescopes need to be on a flat base and hard rocks. So, you got to get rid of all the fractured rubbish and clean it off so that you get a good solid foundation. Chris - You've said that this will return stunningly good quality images which are far more powerful, much than we've ever been able to see before. But what exactly will you be able to do with this telescope? What are the goals of this mission? Gerry - Well, size matters in telescopes for two reasons. The first is, bigger collection gives you more light so you see fainter objects. And so, you can get much more detailed studies on the oldest things in the universe, the first things that had formed only a few hundred million years after the Big Bang. And we can detect these things for things like the Hubble Space telescope and no more than that. This telescope is designed to allow us to study them in detail. But the other thing you can do with the big telescopes is you have a lot more magnification. If you've got good image quality, so that you can then look at things that are very close to other things and a particular challenge here is to look for planets around other stars, measure their colours and see if we can find an Earth-like planet at the right distance from its parent star and see if it goes white in winter and green in summer. Chris - In other words, we'll be able to see bodies - these distant planets, which are much smaller than those we can see at the moment because we can see loads of planets around other stars, these exoplanets. But they're all big ones, aren't they? Gerry - Yeah, they're big ones and also, they're mostly seen only indirectly. We see them by actually measuring all of the light plus the star, plus planet and then subtracting off what we see when the planet goes around the back. And so, you're actually measuring a difference between two very large numbers which is quite hard to do accurately. With enough magnification, and enough light collection, you'll actually see the planet as a planet. So, you'll have a real image of a real independent planet. Chris - I'd like to finish by asking you about the price tag and the delivery date for this. So, when will this telescope go live and how much is it costing? Gerry - The cost will be about one and a quarter billion Euros in today's money. The project started a bit going on for 15 years right now. It should be finished in principle in another 10 years from now, that depends on cash flow and technical issues. Chris - And who is paying for this? Gerry - It's funded by Europe, the European Southern Observatory, that's a collection of 20 odd countries, all obvious western European countries, but with a couple of other significant partners including Chile of course - the host country - and Brazil, which is joining European Southern Observatory as part of a much bigger programme to combine Brazilian science with European science. And so, their joining fee provides the crucial extra money. So, we're all hoping though they win this World Cup and feel happy, and turn up with a cheque pretty soon. Chris - Have they not paid yet? Gerry - It takes a long time to get things through the Brazilian parliament. The deal was signed by President Lula 5 years ago. But getting things through multicomplex political structures takes time. Chris - How much do Brazil owe you? Gerry - It's only a third of a billion, I mean, it's small change compared to a football game. Chris - Do you think they've invested it in the World Cup rather than in your telescope then? Is that why they're late? Gerry - They might have borrowed it, yeah...! American scientists warn that sun worshippers risk becoming addicted to the ultra violet rays in sunshine. Perhaps you've been out in the sunshine recently topping up your tan, or if you're really keen you might have been to a tanning salon. But a note of caution comes from America which suggests that you risk becoming addicted to the ultra violet rays in sunshine. And it also could partly explain the rising rates of skin cancer. A team at Massachusetts General Hospital have been studying mice and they've found that when they're exposed to UV radiation it stimulates, or upregulates, the way they produce endorphins. They're the so-called feel-good chemicals, produced naturally in our bodies, but also similar to the chemicals found in addictive painkilling drugs including morphine and heroin. Dr David Fisher explained to Kat Arney how UV light triggers endorphins, and whether you can become addicted to sunshine. David - The initial clue was simply understanding the molecules that are known to participate in the tanning response. That guided us to test whether endorphin would be upregulated specifically in the skin. This is based on common understanding of how the responses in the skin are triggered by damage such as ultraviolet radiation. So, we first knew that locally in the skin, after ultraviolet radiation, endorphin was upregulated. But we suspected that if it would have an effect on behaviour, the endorphin would probably need to be elevated in the bloodstream in order to make it to the brain where behaviour would be impacted. And so, we could test that in these animals. And sure enough, after low dose UV radiation for several days, we could see that blood levels of endorphin would rise in a manner that directly paralleled the ultraviolet exposure in the animals. We also could ask whether this elevation in endorphin had a behavioural consequence. And what we noticed is after ultraviolet radiation, the mice became increasingly numb and were not able to feel, slight changes in poking hair-like filaments to the bottom of their feet, or changes in temperature. But that pain sensitivity or that sensory sensitivity was restored if we would give them a drug that blocks opiate signalling. Kat - This sounds amazing. It sounds like you shine some UV light on these mice and they basically kind of chill out, almost as if they were taking pain-relieving drugs. David - That was exactly what we saw and in fact, one of the opportunities by doing these studies in experimental animals is that we could then use a variety of genetic tools to study mice in which the gene for endorphin is specifically missing and it's the only thing that's missing. 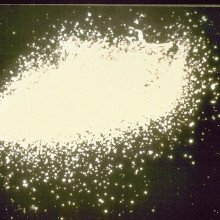 In those mice, if we shine ultraviolet radiation, they did not experience a change in sensation and they did not experience any addiction-like behaviours so that we could really, with a great degree of confidence, conclude from this that endorphin is mediating these behavioural changes, following ultraviolet exposure. Kat - When you talk about addiction-like behaviour, what does that look like to a mouse? David - So, the first is the presence of withdrawal symptoms in mice that had received UV radiation and I would emphasise very low doses of UV radiation. We did not want to test this under conditions where there could be sunburning or inflammation in the skin. So, we gave very low doses once a day for several weeks actually so that there was a chronic exposure to ultraviolet radiation. In such mice, if we abruptly gave a drug that block opiates, the same drug that you would give a patient who had overdosed on heroin when they made it to the emergency of a hospital, if we gave that drug to this mice that had only been receiving low dose ultraviolet radiation, the mice started to have withdrawal symptoms. So, they would shake, they would jump, they would have what are considered the animal equivalent of human withdrawal symptoms to an opiate. Kat - So, they're basically going cold turkey from sunlight. David - That's exactly what it is. Kat - Now, we all know that humans aren't mice and even though they seem to be behaving in this interesting way, is there any evidence that this kind of thing might be happening in humans as well? David - There are data from people who go to indoor tanning beds which have suggested, by using psychiatric questionnaires for example, that there are addiction-like behaviours that are very common in people who find themselves frequently using indoor tanning beds. There are withdrawal-like symptoms that have been associated with disrupting this pathway, this opiate pathway, in people who frequently use tanning beds. Kat - I'm in London and it is a beautiful day today. But if I go to the park and I'm seeing people out there, soaking up the sun, what are the implications of knowing that they might actually be addicted to this, given that skin cancer is rising so fast? David - It is beautiful in Boston and I wonder exactly the same thing. 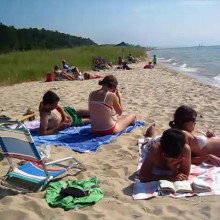 It's a big issue I think because what I believe this adds to our knowledge base in terms of how this impacts the public health is that the casual exposure to ultraviolet radiation, I think now reaches a different level because we have evidence that it is feeding into a pathway that is famously organically addictive. If these were drugs that were being given, if it was endorphin that was being injected or heroin or other opiates, I don't think there would be any question that the nature of regulating indoor tanning beds for example should be evaluated in a completely different light than the way it has been up until now. This week the USA has carried out its first executions since a botched lethal injection in April. But how does the lethal injection work? Capital punishment hasn't been used in the UK since 1964, however many countries, including the USA and China, still execute prisoners ever year. This week the USA has carried out its first lethal injections since the botched execution of convict Clayton Lockett in April, who died from a heart attack nearly an hour after receiving his injection. 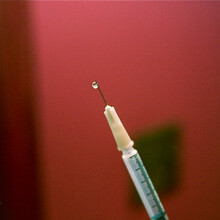 The controversial technique has been used as a form of capital punishment in the states since the 70s, with over 1000 inmates being executed this way alone. Here is your Quick Fire Science on the lethal injection. - Using lethal drugs was first suggested as a form of capital punishment in New York in the late 19th Century. At the time the idea was rejected as it might have lead people to associate hypodermic needles with death. - In 1977, a medical examiner named Jay Chapman once more proposed that inmates would be executed with a specific and lethal combination of drugs. - Texas became the first state to execute someone this way in 1982. Since then lethal injections have become the most common way to execute prisoners in America. - Inmates are strapped to a gurney, then an intravenous cannula is inserted into each arm, through which a sequence of drugs are administered. - Most states use three drugs, first sodium thiopental, a general anaesthetic which causes unconsciousness, then pancuronium bromide which paralyses muscles and stops breathing, and finally potassium chloride which stops the heart. The whole process should usually take around seven minutes. - Getting the dosage of the various drugs correct is important. There are worries that if not enough sodium thiopental is administered then the painful effects of the procedure will be felt, but hidden by the induced paralysis. -Because of this shortage, some states have being using alternative drugs, which haven't always been rigorously tested, while Tennessee have reintroduced the electric chair. - In April, Clayton Lockett was administered a previously unused combination of drugs in Oklahoma state. He was pronounced unconscious after ten minutes, but continued to move and moan. The execution was then halted but he died 43 minutes after the initial injection from a heart attack. - While the majority of Americans are reportedly in favour of the death penalty, the number of executions scheduled for this year is 33, which is the lowest it has been in 20 years. Electronic cigarette are currently unregulated - so who's using them, do they help people quit smoking, and are they safe? Electronic cigarettes - eCigs - are devices that produce nicotine vapour rather than burning tobacco; and they're all the rage at the moment. Perhaps you or your friends are 'vaping', as it's known, instead of smoking real ciggies, and if you live in London you've probably seen the huge glossy adverts on buses. This week its been revealed that there are currently more than 460 different brands available, and a quarter of people in the EU are likely to have vaped, especially younger ex-smokers. Lion - E-cigarettes have been around for the last 5 to 6 years and the use has increased dramatically. Of smokers and recent ex-smokers, 20% have ever used them and currently using them on a daily basis, are around 12%. Kat - What do we know about who uses e-cigarettes? Lion - It's pretty equally spread across all different age groups. Generally, it's much more likely that smokers, rather than ex-smokers are using e-cigarettes. Kat - So, does it sound like people are using them to quit smoking? Lion - There's mixed evidence. So, some of the population data that we have seem to suggest that people start using e-cigarettes tend to also then be more likely to attempt to stop smoking. And in fact, the evidence that was recently published in the UK shows that this may be more effective than the use of NRT that's bought over-the-counter. Kat - So like gums or patches. Lion - Like gums, exactly, like that. There have been a few randomised control trials, very rigorously controlled trials that have looked at this issue and they suggest that e-cigarettes appear to be as effective as conventional nicotine replacement therapy in helping people to stop smoking, but more research is definitely needed. 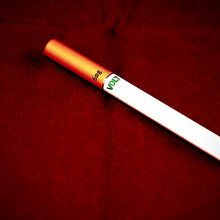 Kat - One of the papers that's currently out at the moment says that there are over 460 different brands of e-cigarettes. Some of these are being made by big tobacco companies and we're starting to see very glossy adverts that remind me of when I was a child when we'd see these cigarette posters. What do we know about the kind of the branding and the marketing of e-cigarettes? Lion - People have been arguing that some of the flavouring that's been used as marketing to attract younger users. The evidence also suggests that a very few people start using e-cigarettes completely from scratch as it were, people who have never used cigarettes before. So, it's only about 0.2% in the UK as far as we can tell. So, maybe some evidence of marketing may be geared towards younger users. When we look at smoking prevalence in younger users, there isn't very much evidence that it's actually increasing. And they're sort of posing arguments in tobacco control field and some people think that the use of e-cigarettes may be encouraging people who would not have used cigarettes at all into starting to smoke. So, this is the kind of gateway hypothesis. On the other hand, they're also proponents who will argue that regulation of e-cigarettes, say, banning them may be detrimental because it may actually help people to reduce the harms from smoking by switching them over to a less dangerous product. So the one thing to remember of course is that cigarettes are particularly dangerous because you smoke them for the nicotine they contain, but you die because of the carcinogens, the cancer causing chemicals are caused by the burning of tobacco. But as e-cigarettes don't burn any tobacco, nicotine is vaporised which means that they're much less likely to pose a risk to smokers who use them. Kat - And what do we know about any potential harms from e-cigarettes? Lion - Out there in the literature, there's very little to suggest their long term effects. And so, new research needs to be carried out and to investigate the associations between what we can measure in the vapour of e-cigarettes. And so, evidence suggests there are some trace elements that are harmful, certain cancer causing chemicals. But there's no evidence to suggest that this actually then translates into biomarkers that can be measured in humans and users of these products. Kat - If someone's listening to this and they're a smoker and they think, "Ahh, smoking is really not doing my health any good. Should I try e-cigarettes?" What would be your advice? Lion - My advice working in the field would be that using e-cigarettes certainly is going to be better for you than continuing to smoke. Consider first of all of course, using effective proven treatments such as the Stop Smoking Services available. But if that proves ineffective then trying e-cigarette is likely to do more good than harm. Now news that could herald a breakthrough for the development of electric vehicles which have been slow to catch on because they can't go far without having to be charged. One of the pioneers in the field, the American company Tesla, has announced it won't prevent other companies using its exclusive patents. That means others will be able to use the same technology and, if they develop it, it could mean many more electric cars on the road. Mark - Well, last week, we've got some news that could really help to kick-start the market for electric cars. One of the world's leading electric vehicle makers, Tesla which is based in California has opened up its patent portfolio so that any manufacturer can use its technology without fear of courtroom battles. Now, given that companies routinely fight tooth and nail to protect their patents, this might sound quite weird. But it could make really good business sense for Tesla because it could accelerate the uptake of electric vehicles. Chris - But I was going to say, why have they done this because this does seem a rather ridiculous strategy if you spend a lot of money putting these patents in place in the first place. To then just dismantle them seems very counterintuitive. Mark - It's a strategy that you don't often see, but the reason is, Tesla needs to grow the market for electric cars. 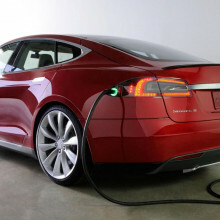 Now at the moment, it doesn't have a huge amount of competition with other electric vehicle makers. Tesla has been at the forefront of developing technology to overcome a couple of the key barriers to people using electric cars. Drivers are worried about their limited range and the time that it takes to recharge electric batteries and indeed, whether they can even find anywhere to charge up once they're on the road. So, Tesla has been improving battery technology to give the cars a range of up to 300 miles and it's been building network of about 100 super charger stations across America with more to follow. They can recharge about half the battery in just 20 minutes, giving you an extra 150 miles. The refill is absolutely free because many of the stations are powered by solar panels on the roof. Now, many of Tesla's 200 or so granted patents relate to this supercharger stations. And the hope is that allowing other car manufacturers to come in and use that technology off their vehicles, Tesla's system can become the industry standard. So, you get more companies using these stations, more demands for cars, more stations and that bigger network makes recharging more convenient for drivers. So, this is sort of synergy to just try and grow the whole market. Chris - So, is this a shot in the dark, this whole idea about dropping patents like this or is there some kind of precedent? Have any other industries or other manufacturers done this before and seen it work? Mark - There's a really good recent precedent actually. Think about how Google made its android software free for anyone to use and adapt. That helped to insure that the market for mobile devices continued to grow and importantly, its search engine was integral to those devices. So, there are already signs that Tesla's move could pay off in a similar way because it's been discussing in the past week, technology partnerships with BMW and Nissan. It's also in the midst of looking for a site for a new battery factory. It's planning to build a $5 billion lithium-ion battery factory by 2020. It will be the biggest in the world and it aims to make half a million car battery packs a year which is more than the total global production today. So, getting others to adopt their technology creates a bigger market for that supply. Chris - So, how do they manage to pack so much charge into these batteries? What is their secret technology that they're releasing now? Mark - The car's batteries charge and discharge using direct current, but the electricity in your home, that's alternating current. So, when you plug an electric current at home, it flows through an on-board rectifier that converts AC to DC so that the battery could charge. Rectifiers are quite heavy and they emit a lot of heat and that limits how many rectifiers a car can carry. So the point is, as a supercharger station, that is no problem. They stack up a dozen big rectifiers with all the cooling that they need and they deliver a much more powerful flow of DC current directly to the car's battery, through a really chunky wire. It's like a huge fireman's hose basically. And that effectively allows you much faster charging. Chris - Ingenious, and what do the industry commentators, other people, what do they think about this? Do they think it's a goer? Will it fly? Mark - Interestingly, when they first announced this, the share price of Tesla initially dropped slightly. But as soon as people started to realise what the implications were, it has shot up ever since. So overall, analysts are quite optimistic. They also point out that Tesla wasn't being entirely altruistic. It's been exploiting this technology quite a while. So by the time other companies integrate this with their own cars, Tesla will presumably have made further advances and will maintain its lead on the sort of technology. There are millions of fans singing their teams praises across Brazil at the moment, but how does this chanting affect behaviour? England's supporters might have fallen silent at the World Cup this week, but there are still stadia full of fans singing their teams' praises across Brazil. 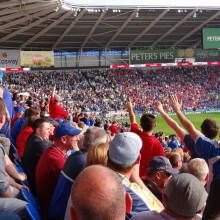 Kat Arney spoke to Daniel Richardson from the Department of Cognitive, Perceptual and Brain sciences at University College London about his work studying how crowds chanting together can affect their behaviour. Daniel - Well, chanting and synchronised behaviour is just one of the things that people do at football matches - like dressing up in their colours or painting their faces or the Swiss fans all wearing cheese on their heads - one of these things that people do that we think changes their social identity. What it does is, we all think of ourselves as individuals. We think of ourselves as unique people with values and principles, particularly in the west. But what we neglect is all the social groups that we're a member of. When we go to a football stadium, and we chant together or we're dressed the same, we're turning up the dial in that part of our own identity that's connected with this larger group. That has all sorts of effects, both positive and negative. Kat - I guess this is kind of a tribal thing, isn't it? We're saying, "I'm part of this tribe." Daniel - That's right, yeah and you see the sort of behaviour, chanting and singing, they're moving together across society. You see it in churches, in concerts, people dance and they sing, and they dress the same. But what's unique about football is, you've got two crowds of people supporting opposite teams in the same stadium. You never go to a concert and have Metallica fans and Justin Beiber fans there at the same time. Daniel - So, it's this unique petri dish to look at all these social effects. Kat - And so, what do we know about football chanting in particular? How does it influence people that are doing it? Daniel - Well, it's this type of sort of synchronised behaviour and we've studied this and it's popular knowledge now that if you look at two people whenever they socially interact, they become more similar. So, just as a result of this interview, you will have picked up a little bit of my Swindon Californian accent, you would have copied my speech rate, if I scratch my head, you'll scratch your head. You're not scratching your head. Daniel - If we get on with each other, this is on body language books, but what you have in a football stadium is that sort of coordinated activity but times by 10,000, 80,000. What it's doing is increasing this affiliation. So, if you think of the positive aspect of this, singing and chanting is one of the best things that you can do if you're depressed or lonely if you join a choral singing group. It has these huge benefits, not just the social ties, but the activity that you engage in. When you sing together, your mood goes up, your heartbeat synchronise within the group and has all these ways to strengthen the in-group bonds. Kat - That's absolutely fascinating. I know friends in choirs and they say, "I love it. I have to go to choir." So, it's making people feel really good by being part of this activity. Daniel - That's right. It increases all of these - what we call, pro-social behaviours. So, there have been experiments where people are asked to sing "Oh, Canada" together. And they did on headphones, sometimes they sang together, sometimes they're out of sync. So everyone sang it, but could they hear other people singing along with them? And then you get people to play these little economic games where they have to share resources. If they just sung "Oh, Canada" together, then they share out resources with each other and they also punish people not in their group who didn't sing-along with them. Kat - So, that's singing. Are there any other group activities that bring people together in this kind of way in terms of their behaviour? Daniel - Well, there's also the moving together. So again, when people talk, they move their hands together. If you phone up your friend in another city and you're on the phone, you'll actually start to walk in synchrony with each other. And there's all these studies looking at how this mass coordinated behaviour can change these social bonds again. So, one of my favourite experiments by Scott Wiltermuth in California, he asked people to walk up and down a car park outside of his lab and they either walked just ambling along by themselves in a small group or they walked in time with the experiment. So, they marched up and down for 10 minutes. Then he got them back in and said, "Okay, that's great. We're doing a different study. This is for the medical school and we want to make a protein paste and we're going to make it out of these wood lice." And he held them a box of live wood lice. "So, what I'd like you to do is you've got 5 minutes. Could you just take these wood lice and throw as many as you can into this thing?" And he got an industrial coffee grinder in his lab. So then he closes the door and people are left with this box of wood lice and the dependent variable, what they counted was just the number of wood lice that people threw to their deaths. Actually, no woodlouse was harmed. There was a little shoot so none was killed. It was a fake grinder. They all escaped to live another day. But what he found is that if people had marched up and down with someone, they threw about 50% more wood lice into the grinder. They're also much more likely to be the one to press the button to start killing them. Kat - So, that's kind of a bit weird. So, if you're marching together then that's a kind of a negative effect on behaviour, but if you're singing and chanting together, then that's great. So, in terms of the World Cup, we've heard a lot of chanting and lots of singing on the telly. I hate it. I don't watch it. So, I assume there is chanting and singing. What happens though if your team isn't doing so well, like England? Does that influence people's behaviour? Daniel - Well, we think all of this chanting and singing, although there's positive and negative sides, it's all doing the same thing. It's strengthening our in-group ties and also, strengthening the amount that we're negative to the out-group. So, we bond together with the people on our side and we're more aggressive and negative towards the opposition. So, when you get people chanting together, they may have this positive social bond with each other, but they're more likely to be abusive of the opposition because part of what the synchronised behaviour does, if you turn up the dial on the amount that we're this group, we're this one team of supporters, you're turning down their own personal responsibility. So, people feel deindividuated. It's the technical term. They're more likely to be aggressive and negative, so you get the sort of - there's lots of homophobic chanting at the World Cup at the moment. People yell things at players they would never say face to face because they feel part of this bigger group. They don't feel themselves. Kat - And this doesn't sound great to me, but is there any way, very briefly, that we could harness this in a good way. If we can get people walking down the street singing together like in the musicals, would that be good? Daniel - That sounds lovely. That sounds great. Well, it depends what you want to do. I mean, if you think about this marching study, the person who did it, Scott Wiltermuth pointed out that every military in the world still does marching practice whereas in fact, no soldiers ever march on the battle field. No one has done that since we had the machine gun. It's a really dumb thing to do in battle. But we still teach marching because it increases this obedience and this social cohesion. So, if you want to increase social cohesion, yes, we can teach marching in school. We can have singing in school every single morning, but you have to recognise that does have a bad side. It'll increase the bonds within that group of people but it will make them more likely to aggress and be negative to outsiders. Whereas some scientists are trying to understand how football crowds function, others are taking data off the pitch to see how the rest of us interact. Chris Smith spoke to Edoardo Gallo, an economist from Cambridge University with an academic interest in football. Chris - So, what can football teach us about economics then? Edoardo - Well, economists are interested in how individuals behave and how they respond to the incentives they're facing in everyday life. Football players may seem very different from us, but in reality, they are people and they're actually professional, performing their everyday job, who respond to the incentives in this job. So, this is exactly a type of setting that us, as economists are interested in. On top of this, there are at least three reasons why football may be a particular interesting settings for economists were to study human behaviour. The first reason is that incentives are extremely clear in football - you want to win. There are rules that you have to follow or you can break to try to win. The second one is that the stakes are extremely high. So, the incentives are very strong. And the third one is that we actually have a large amount of data now on what players are actually doing on a football pitch. We can use this data to study human behaviour. Chris - When you say, "We've got a lot of data from players on the football pitch...", how is that data gathered? Do you sit in your office at the university with a massive great plasma, tune this in and you sit there with your pen? Edoardo - Well, I watch quite a lot of football, but not to collect data. Edoardo - I'd love to have a big plasma in my office to watch football games. No, jokes apart, actually, there are some companies that collect an extensive amount of data. For example, the data that we have is from one of these companies. It has time stamped events by the second of every event that happens on a football pitch including the X,Y spatial coordinates. Chris - In other words, you're tracking people around the football field so you can see where the players are going and you know where they were on the field at any one moment in time for every game. Edoardo - Exactly, for every game. So for every game, we have more than a thousand data points and we can know exactly what is actually happening in those games and this is for example for the English Primer League for two seasons. Chris - So, what can you learn from that resolution of data from knowing how the players interacted like that? Edoardo - One of the projects that we did and was recently published was to look at the issue of discrimination. So, discrimination is something that social scientists and economists have been interested in for a long time, it's definitely something very important - both for its moral implication but also its economic implications. What we do is to look at this data and to show that actually, referees in the English Primer League, in the two seasons that we looked at, discriminate against a particularly group of players by awarding more yellow cards against them. And given that the data is so detailed, we can also see for example that these players does not behave differently in terms for example aggressive behaviour. Chris - So, when you say they're giving more yellow cards and they're discriminating against certain players, who were they discriminating against? Edoardo - Players that are non-white and they are foreign and they belong to the minority groups in the UK. So, it's not on simple racial lines. It's not a simple black or white. Chris - What about the refs? Are the refs all white or are they a mixture of black and white refs? Is there any bias in that direction? Edoardo - It would've been great to see if there was a significant group of referees that were black and a similar group that was white, whether there was any difference between the two. Unfortunately, the data that we look at, there was only one black referee that refereed very few games, so we cannot look at that. Chris - So, are you saying that basically, referees on the basis of your data are racists or are you saying that there's something else going on which is making them discriminate against certain groups of players? Edoardo - So, this is a great question and as economists are interested in the type of discrimination that is actually happening because for example, this is very important for policy reasons, now, there are different types of discrimination, one type is for example what economists call a preference based. So, you just don't like someone from a certain social group. So you therefore discriminate against them. Another discrimination for example is called statistical discrimination which means that there's a group of people. They behave in a certain way. There's a certain tendency to behave more in that way than another group and therefore, you discriminate against them. A typical example could be that if you believe that Spanish players dive more, then the referees may award them more yellow cards for diving even though maybe they're not actually diving more. Chris - Is there any evidence for that in what you've looked at? Edoardo - No, this was just an anecdote from watching a lot of football. The third type for example is what psychologists call implicit discrimination which is something unconscious that you do because you're associating a negative attribute to a certain social group and you do it without realising it. What we show in the data is that actually, there's evidence that discrimination that is happening is actually implicit discrimination because it's only happening when the referee is time pressured to make a decision to award the yellow card. Chris - So, once they're under pressure, they've got to make a decision. Then this almost - I don't want to say innate - but some other factor is kicking in and they are discriminating in this way. Edoardo - That's right. You use these mental processes that are associated with implicit discrimination, which are intuitive mental processes only when you're time pressured. We show that referees are time pressured by players to award the yellow card becuse if a foul happens, they only have a certain amount of time before they can award the yellow card. This varies across the football pitch. There is more time in the defence seen or the attacking part than there is in the midfield. We actually showed discrimination only happens in a midfield area. If the discrimination was for example preference based, there should be no difference across the different parts of the pitch. Well, if it's implicit, we'd expect that there's more discrimination in the middle third which is exactly what we found. Edoardo - A general message from that research is that it's very difficult to change them. Of course, awareness may help a bit or we also know that awareness does not help in a lot of those domains. So of course, awareness is one potential solution but it doesn't get us all the way. We're talking about the science behind the World Cup this week and so far we've heard from a psychologist studying chanting and an economist studying behaviour on the pitch. But football isn't just about the players (however much you might blame Rooney or Gerrard for England's recent disasters). A lot of it comes down to plain old physics. To find out more Kate Lamble headed down to Coleridge Community College with the Professor of Spin, Cambridge University's Hugh Hunt. Hugh - If you spin a ball and it bounces, you can get the ball to spin left, right, all sorts of things. That's the kind of thing that happens in cricket when a ball bounces and it deviates off the pitch. In football, that happens too. But bending the ball in midair is the best part of spin on a football. I have a ball here and I can just throw it and it pretty much moves in a straight line. Then I'll put a little bit of spin on it. Did you see it? Student - We're just passing the ball, but as we're doing it, we're spinning it so it will go on different directions and so, we don't know where it's going to end up. Hugh - Jack, I'm going to spin this ball to you and you don't quite know whether it's going to go to the left or to the right. you judged that well but imagine if it's coming at you much faster and it spins and you're the goalie and you jump in the wrong direction. Then you've gone and let the penalty through. Kate - If you twist the ball, why does that make it move in the air to the left or to the right? Hugh - When the airplane goes through the air, it generates lift because the air is deflected downwards. The wing pushes air downwards. If you've got a spinning ball, it pushes air around it as well. The more it spins, the more the air is pushed around. Isaac Newton's third law, 'every action has an equal and opposite reaction'. If you push on the air, the air has got to push on you. Kate - So, as the spinning ball drags more air around one side of it, the air pushes back on the ball and forces it to change course. Kate - That's the reaction. What happened? Student - It spun around in the air and shot forward. Student - But it did quite slowly so it kind of - it wasn't like he threw it. It just like flew through the air. Hugh - If I do that same thing without any spin....it falls quite quickly. But as soon as I put a bit of spin on it, back spin in this case...it hovers up. Now, what would happen if I put some top spin on it? Well, let's try it... and see, it curved down really, really quickly. Kate - Looking at that, do any of you guys see how that would work in football? Student - If you kick the football and you gave it down spin then people might think you are kicking it quite far, but actually, you are kicking it quite close so that you could be kicking it to a team member that was closer and all the other players would run in the other direction. Hugh - Precisely right. Now supposing, you guys stand in the middle around here, okay. Kate - We're forming a defensive free kick wall here. Hugh - Now, if I threw it over the top of you, it's not going to get behind the line. If I put some top spin on, then I can get the ball to... you see how it went down very quickly. The spin made it curve down so the ball goes over you and you think, "That's fine. It's not going to go into the goal" but it curves down and goes into the goal. Jack - Yeah, it does help in like situations if you're on a one-on-one so the goalie don't know where you're like going. Hugh - Unfortunately, the goalie is pretty good and looking at what you're doing. The goalie thinks, "He's coming on this side. I know where it's going to go." And you want to be unpredictable. You have to disguise what you're doing with your foot. The other thing you can do is actually, you can kick the ball dead straight with no spin. And then you have this really weird thing that happens which is called "knuckling". Knuckling is a baseball term. If you have a ball in your hand like this with your knuckles, it's the knuckle ball if you can see your knuckles and you throw it with no spin. What happens then is, it weaves around rather randomly and it's unpredictable. And that's what you want, kicking a penalty. Actually, it's best not to put any spin on it at all. It's you against the goalie. It might go left. It might go right. It might go left and then right. Kate - So spin is mostly following things like free kicks. When you want to get over the wall directed towards where you want to go, use the spin to make it being unpredictable but you know what it's going to do and knuckling can hit straight on penalties, make it as random as possible so that even you don't where it's going to end up. Hugh - There's a critical speed for knuckling which means that if the ball is going at just that right speed, it's going to have maximum amount of deviation. This year, the new World Cup ball, it's a slower speed than it was in the previous World Cup which means that you might find a few of these penalties, are kicked slower than they were in previous World Cups so that knuckling has its maximum effect. Kate - So Jack, you mentioned that you were using spin on penalties when you're one on one in a goalie. Does that change your opinion on what you're going to do? Jack - Sort of in penalties, yeah because if you get like a strong shot, obviously it would go straight. But say, if you're not in a penalty, you'd use the spin because you'd have more like around the goalie and they won't know where to go. The World Cup is a huge celebration, but the beautiful game does have a darker side. New data has been published that suggests reported incidences of domestic violence increase after an England football match. In the time around last Saturday's match against Italy, Cambridgeshire Constabulary reported 21 cases of domestic violence in comparison to 12 cases in the same time period the previous week. Kat Arney spoke to Dr Stuart Kirby who has been looking at the correlation between the FIFA World Cup and domestic abuse in Lancashire. Stuart - We went to Lancashire which has got a population of about 1.5 million. We went to the police there and took out all the data and we looked at it on a yearly, monthly and daily basis especially over the World Cup. Now, we looked at the data over 3 World Cups, so 2002, 2006, and 2010. We found two things. First of all, we found that there was a match day trend. So that meant that when England played, even if they won or actually drew the game, there was an increase in domestic abuse of about 26%. 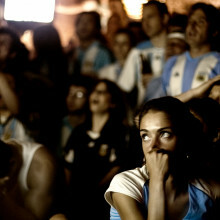 But unfortunately, when they lost, it went up even further and there was an increase of about 38%. The other trend that we found was that there was a tournament trend. So 2002, when it went into 2006, there was an increase and then a further increase in 2010. So unfortunately, we're seeing an increasing trend over the tournaments as well. Kat - This sounds very alarming. Why do you think we've seen this increase every 4 years? Stuart - Well, there are lots of studies on domestic abuse and they've come up with many reasons why. So, many have come up with individual factors. So, with the individuals involved, it's being due to their personality or the way they responded to something. But this study really puts forward more of an environmental focus. Now, we also know from previous studies that domestic abuse is more likely to increase at weekends when people spend more time together. It's more likely to increase on warm days, on major holidays. We see a big association with alcohol. So, some studies will say that in 37 percent of cases, domestic abuse is correlated with alcohol. And there's even been an American study which said that people argue most over what they will watch on the television when sports is on. So, the biggest arguments are around sports. So, what we think is happening is all these risk factors are coming together in a very intense and volatile period. Kate - Is this just something that's restricted to Lancashire? Are the people of Lancashire particularly liable to have a punch up after a footie game or do you think that this trend is something that's happening across the UK? Stuart - Well, we know that the trend is happening nationally because there was another study done just on the last World Cup. Basically, that research just asked for data on the England games in the last World Cup. So, we sort of rise across the country. I think another question is, is it actually rising or are people just coming forward with the information. 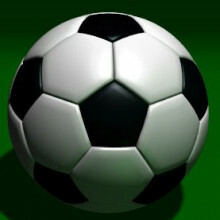 We found arguments both sides and it just needs more research which is what we're doing during this current World Cup. Kat - Broadly, we've moved away from the days of football hooliganism that we're really bad particularly in things like in the '80s - lots of violence outside games in between fans. Is this maybe an outlet for violence that we're not seeing and not maybe so aware of? Has it moved? Stuart - Well, I think that's a really interesting point actually. One of the things that I would say about that is, what happened was that in the '60s and '70s when it clearly became a national problem, the police, the football clubs, everybody came together and they put very strong preventative measures in place. I think what we've got here is, this is just servicing as an issue and the more that's known about it, more and more preventative methods will come into place. Kat - So, what do you think is the key to tackling this problem? Is it just gathering more data about it? Is it trying to make the idea that violence should be kicked out of football and kicked out in a domestic setting as well? Stuart - Well, there's lots of research just on general offender behaviour and one of the benefits of this sort of researches that you can say, well, what's worked with all the crimes, what's worked with violence generally. Basically, to increase the efforts of the offense taking place to reduce the rewards for taking place. So, your caller early was talking about the economics of it. I think when we start to bring some of these factors together, we can do something about it. But I think the first thing to do is to first of all, highlight the problem and then look at the extent of the problem. One of the things that we're doing this year in terms of our research is looking specifically at the trigger points. So, what is exactly? Is it at the end of the game when the team are going to lose? Is it when one player doesn't particularly perform? Is it when there's an argument between partners who are watching the game? What exactly are the trigger points? And I think once we know those, we can put the interventions in, which are most likely to work. 50:57 - Why do people have different sneezes? Georgia - A sneeze is a sudden expulsion of air from your lungs out through your nose and mouth, powered by vigorous muscle contractions in your face, throat and chest. Usually, in response to an irritation inside your nose. This is so, whatever is causing this irritation can be expelled from your nasal passages. Sneezes can also be caused by bright light which is called photic sneezing and affects around 1 in 5 of us. The reasons people have different sneezes is mainly down to personal anatomy. The size of your lungs and windpipe have an impact as well as the strength of the muscles around your chest and throat. It may also be a cultural thing. People in Britain tend to say 'achoo' when they sneeze while in Japan, people tend to say, 'hakashun' and deaf people tend not to insert any word into a sneeze at all. It might be possible to change how you sound with practice, but the volume of your sneeze can be changed by breathing out instead of in before you sneeze or by clenching your teeth. However, never block your nose to stop a sneeze as the internal pressure may rupture your eardrums or even trigger the involuntary release of urine. Graihagh - Not an answer to be sniffed at, but what did your sneeze say about you? Dr. Alan Hirsch, sneeze and taste researcher or you could say 'sneezologist'. Alan - What we have been studying is how sneezing can indicate one's personality type. We've done the test over 18,000 people and correlated different personality traits and behaviours. What we found is that if you have a loud projectile-like sneeze, it indicates that you tend to be more self-assured, aggressive individual, and more of a natural leader who won't take no for an answer whereas those who have sneezes that are more muffled tend to be more shy, introverted, less self-assured.